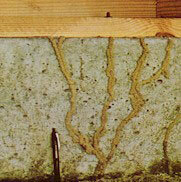 Are you aware termites may already or could possibly be your homes next target? Left undetected, termites could cause significant damage to your home. Did you know that termites do as much damage to your home as fires and floods? Why wait, call for your free no obligation inspection and evaluation so corrective measures can be taken to prevent and eliminate termites! 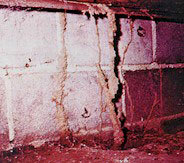 Accutrol will inspect your home or business to determine where and how the termites may enter. We must first focus on the accessible interior entry points. This includes plumbing and utility pipe penetrations, attic space, fireplace, any and all moisture areas, additions to the structure, and any known damaged areas/pin holes. Second, we focus on the accessible exterior perimeter areas of the slab/foundation inspecting for conducive conditions, any signs of damaged wood, and termite mud tunnels. Should your inspection reveal active termite infestation, we will recommend a treatment plan to eliminate and prevent them from returning. Accutrol uses a conventional liquid soil treatment and/or a baiting system for the elimination of termite colonies. These structures require a further inspection under the accessible crawl space areas, examining piers, joists, plumbing and utility pipes, interior beams (if applicable) and moisture areas. (A minimum of 18" clearance is required on all areas of crawl space). Accutrol will create a chemical barrier around your home or business using Termidor "the most advanced form of subterranean termite control chemical in the industry." We will trench and pressure inject with a rod around the exterior perimeter of your home or business, and in accessible crawl space areas all piers will be treated with the same procedure along with the interior beams. Once the initial treatment is completed you will receive a retreatment service agreement certificate for one year, with the option to renew it each year there after. * This renewal is transferable to new owners of the property. Accutrol will install termite-monitoring stations around your home or business. They will be installed around the accessible exterior perimeter. This procedure is designed to detect termites in the ground and eliminate them before they attack your structure. We will provide an ongoing inspection to detect any activity found in monitoring stations.